Why Choose Patchwork Castle For Your Clothing Keepsake Commission? Jakki Doodles Memory Quilt – In The Press! The order book is open!! Yay! 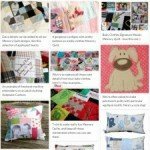 Why Make A Quilt Or Cushion From Adult Clothes? Join us for the latest news, exclusive offers, and tips on creating your beautiful clothing keepsakes. We won’t share your details and you can unsubscribe at any time. We are currently taking orders for delivery around the end of September 2019. We work hard to keep our waiting times as short as possible. Please do ask if you need your item for an earlier date, as we can sometimes accommodate rush orders.